A comedy series that centers with the life of Frankie Heck and her family. Stars Patricia Heaton, Neil Flynn, Charlie McDermott, Eden Sher, Atticus Shaffer and Chris Kattan. 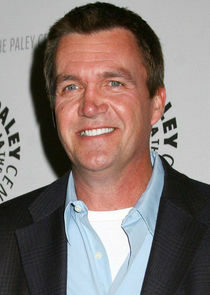 Frankie and her husband, Mike (Neil Flynn), have lived in Orson, Indiana, their whole lives. A man of few words (every one a zinger), Mike is a manager at the town quarry and Frankie is the third-best used car salesman (out of the three) at the local dealership. She may not be a high-powered career woman, but when it comes to her family, sheâ€™ll go to just about any length. And with kids like these, she had better. Thereâ€™s Axl (Charlie McDermott), her semi-nudist teenage son conceived while under the influence of Guns Nâ€™ Roses; Sue (Eden Sher), the awkward teenage daughter who fails at everythingâ€¦ but with the utmost of gusto; and their seven-year-old son Brick(Atticus Shaffer), whose best friend is his backpack.